When setting up an email marketing campaign, you must secure prior consent or an “opt-in” to include them on your mailing list. This isn’t the case with direct mail, allowing you to open your marketing to a great percentage of your target demographic. Ordinarily, a piece of mail may end up on someone’s desk, coffee table, or refrigerator for weeks on end, giving your brand consistent exposure repeatedly. Compare this to just a few seconds with an email and it’s a no-brainer as to why direct mail can be a superior form of marketing. Consequently, it’s been shown that people trust certain types of business offers, such as credit card offers, by mail more than they do by email. This is especially true if you sell a high-value product or service such as HVAC units or financing. This fact is further exacerbated by a lower trust level for email or social marketing offers. Sadly, misguided business leaders subscribe to the belief that print marketing is dead or in hospice care, but nothing could be further from the truth. In fact, multiple studies have shown the opposite: direct mail campaigns have a much higher ROI than nearly any other form of marketing. This prevailing thought is pure gold for you, however, as it assures that there will be less competition among marketing material in a mailbox, and you’ll avoid the ever-escalating fight for attention in the regular person’s email inbox. To boil it down, would you rather compete with MAYBE one competitor via mail or 15 via email? 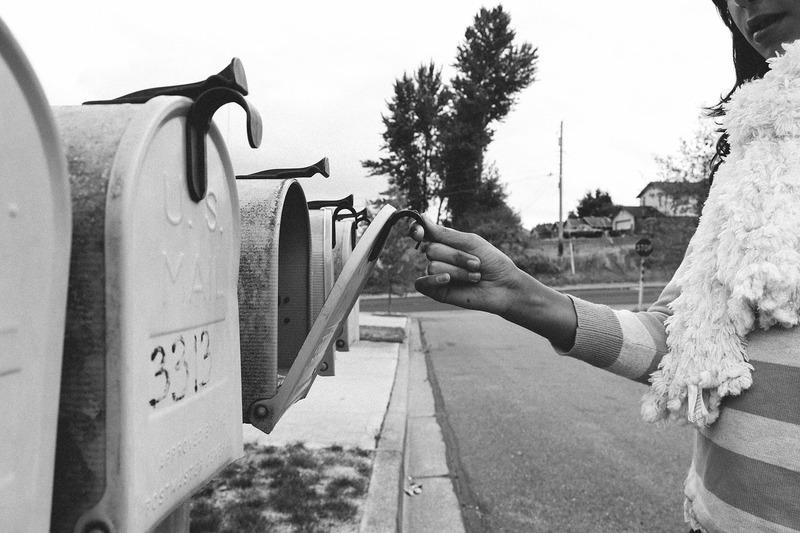 So, you’ve realized the numerous benefits that the mailbox has when it comes to driving brand loyalty, but how do you get your direct mail campaign started? Here are a few tips on driving brand loyalty through the mailbox that will help you connect with your customer base and keep them coming back to your business. Making an emotional connection with your customers is a well-known facet of marketing. Buying the same products as family or friends, purchasing from companies that donate to social causes, and buying a product based on its packaging are all examples of “emotionally buying”. Making decisions based on emotion versus logic is to be human, whether we like to admit it or not. While you may not want to run out and add babies or puppies to all your marketing material, it’s worth a few minutes to determine what emotions you want to elicit when planning your direct mail campaign. Nearly every company on Earth does at least one thing differently than all the others in that space. Use it! Make sure you mention what sets you apart from the crowd at every juncture if you do want to stand out (and you do). Even if you, as the business owner, are the only differentiator use that to sell why your product or service is better. If you have a strong idea of what is interesting to your customers and what they need, you can utilize that to persuade customers that buying your product or service is best for them. The closer you can match your direct mail offers to a customer’s needs and interest, the higher the response rate you’ll enjoy. The key takeaway here is: find out who your customers are, what they buy, and why they buy it and then explain why your customers need you and your product. Often, an expert in content creation for marketing will pay for themselves tenfold by utilizing an in-depth knowledge of creating effective marketing content. An experienced copywriter will know how to utilize placement, rememberability, and other psychological tools to find the marketing “sweet spot” and increase your response rate. To obtain the largest amount of brand loyalty possible from your mail campaign, a little planning is involved, but it doesn’t need to be too in-depth. The right planning starts with securing the right mailing list that targets customers with a specific interest in the product or service you will be marketing. Make this happen by maintaining your internal mailing list of loyal customers or obtaining a mailing list with a specific audience based on target demographics, i.e. family size, children in the household, homeowners, etc. You can increase your company’s brand loyalty and in turn, your bottom line with an effective direct mail marketing program! When looking for a printing company with the experience and technology to easily disperse your direct mail campaign, contact Acme Printing, our digital printing services include variable data printing and direct mail capabilities, even graphic design, that will allow you to reach more of your target audiences with faster turnaround time. Reach us online HERE or at 855-581-8528 today.